Avid’s first “Mystery Lake!” tournament turned out to be at West Monponsett. 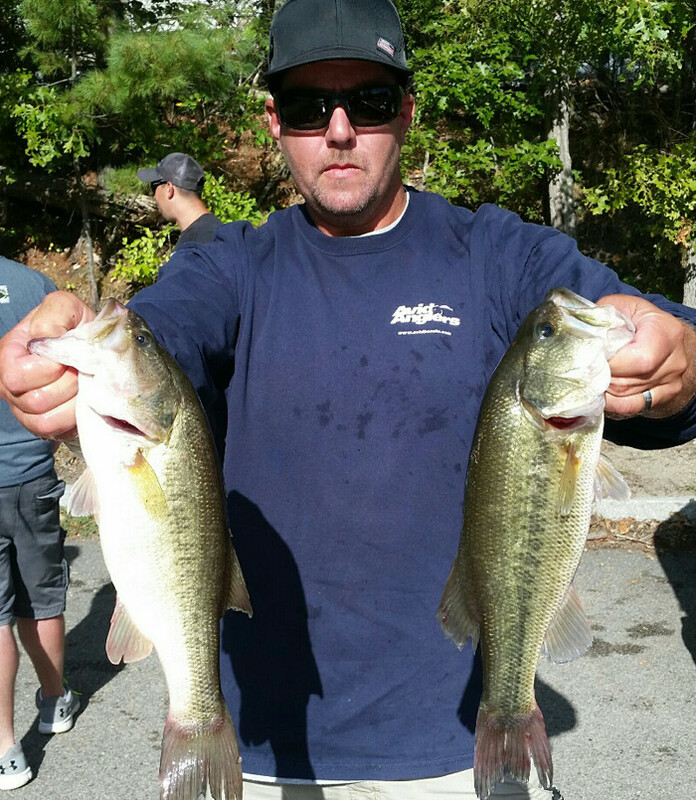 But it wasn’t much of a mystery for first-place finisher and lunker award winner Paul Carvalho, who weighed in a limit that totaled 11.63 lbs. 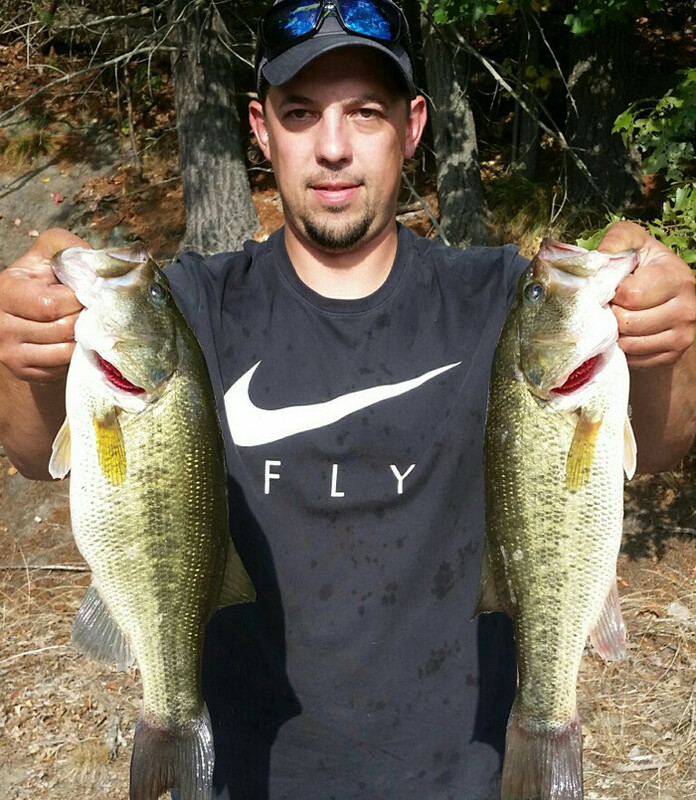 His lunker weighed 3.07 lbs. That, despite having outboard problems that kept him from really getting around the lake the way he intended. 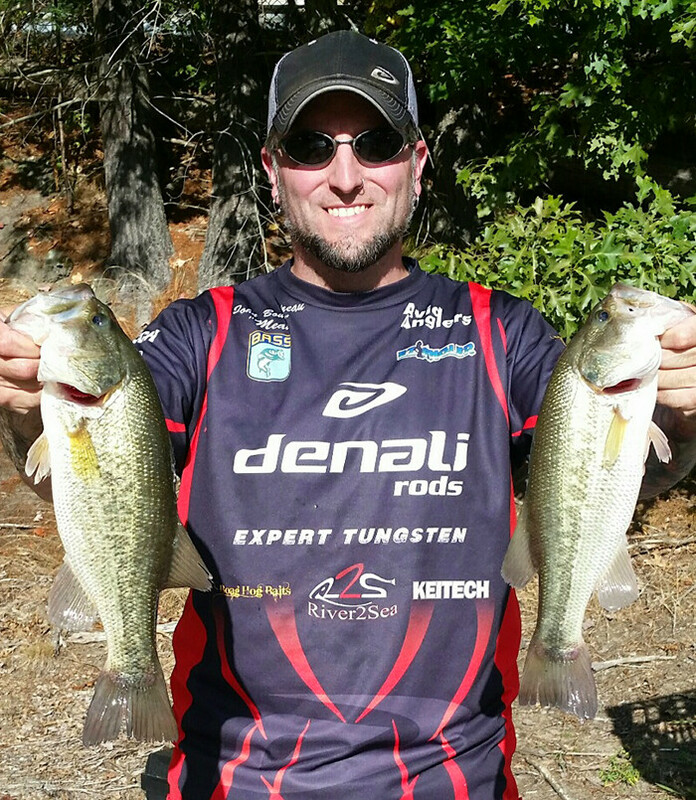 Paul wasn’t the only one who found success though: second place finisher Mike Caudle also had a limit at 10.74 lbs. and, in third, Fred Naymie brought in a 9.65 lb. limit. 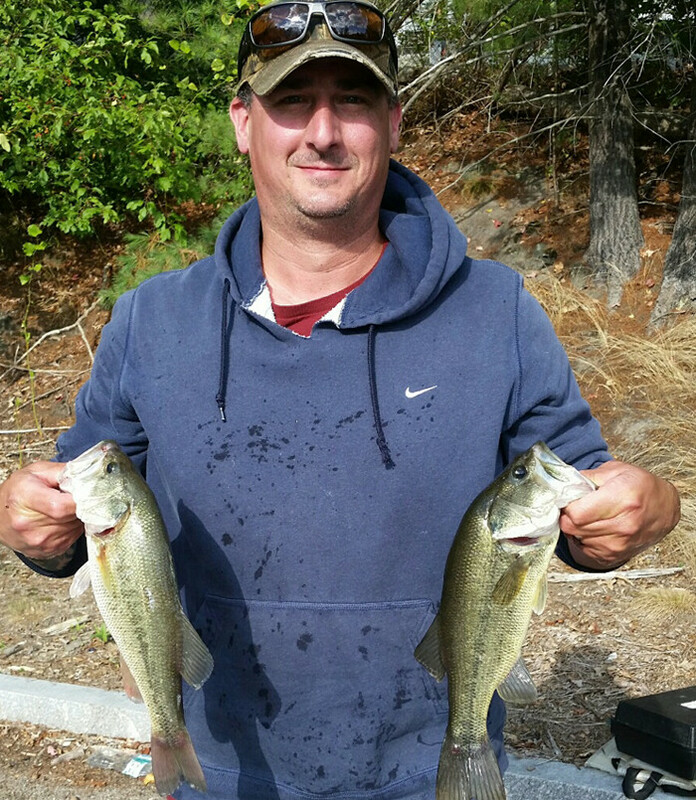 Newcomer to the club James Tessier, fishing his first Avid tournament, weighed the only other limit among the nine participants. The bite was tough overall, possibly due to a cold front entering the area overnight the evening before. No doubt the high pressure and mostly sunny skies slowed things down a bit. It was really the first cool weather of the fall season after a sweltering, unusually dry summer. In fact, water levels at the pond were at least two feet below normal. It was apparently not enough to force the fish from the shallows, as several were caught there on various patterns. This was the club’s first attempt at a just-for-fun event and it seemed to go really well. 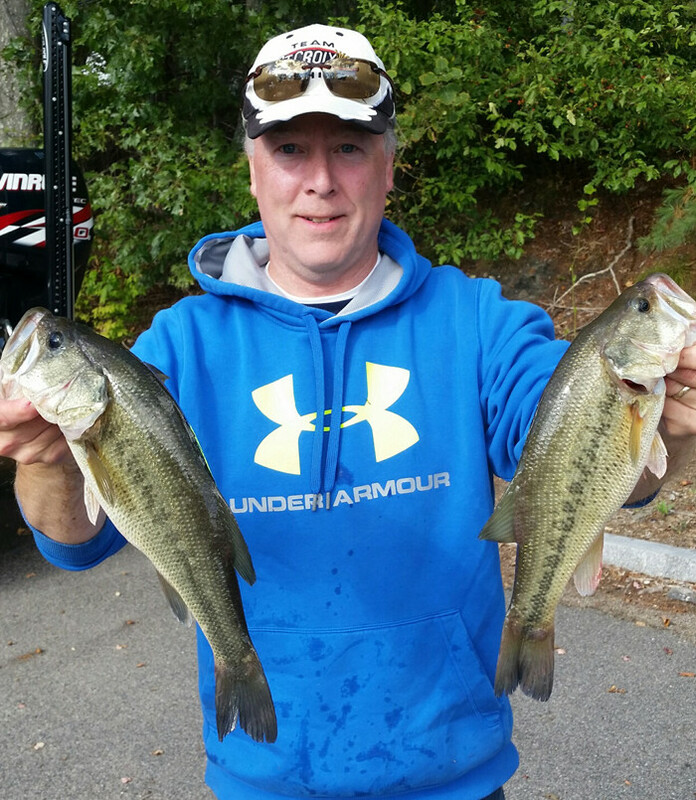 9 of our 14 members were able to fish this no-entry tournament, which paid out a total of $500. It was the last of the 2016 calendar year. Our next event is the 2017 Easter Bunny Open in mid April. Enjoy your winter! 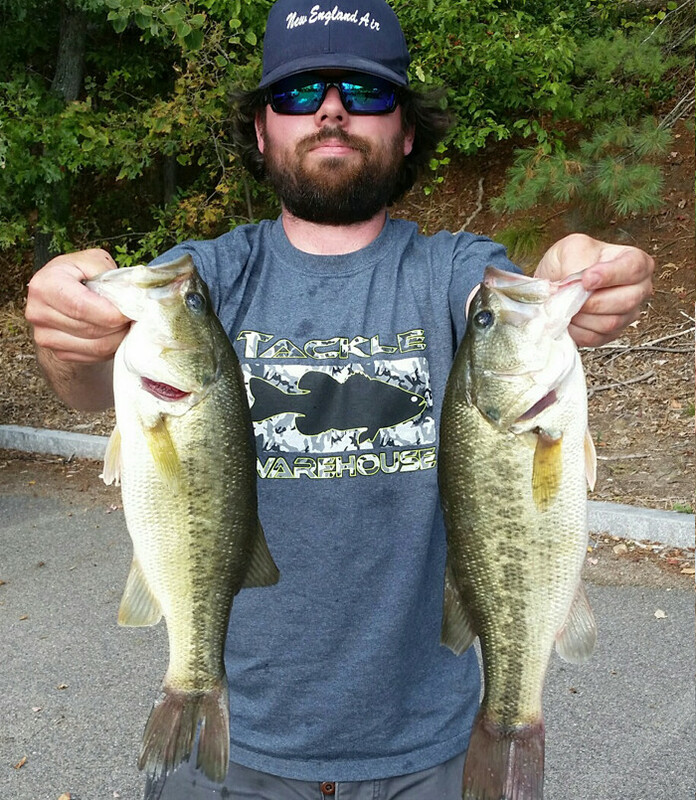 Average weight per fish: 1.86 lbs.